Wedding season is upon us! Since I grew up in Florida, I didn’t realize how big a deal wedding season was for those living in more temperate climates. There’s a true wedding season outside of the tropics, though, and it is just about to begin. Every bride has her own style and own ideas for the perfect wedding; some prefer a fairytale, some want an outrageous event and others simply want something traditional. 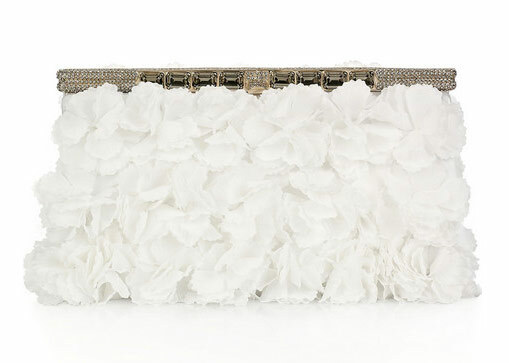 The Outnet has a great Valentino wedding clutch deal for spring brides! It’s officially March (where has the year gone? ), which means that we’re inching closer and closer to wedding season and there’s lots of wedding planning in full swing. Naturally, we’re most interesting in what kinds of wedding bags people are choosing, and if you’re gettin’ hitched and have yet to decide on yours, we’ve got some good news. One of our favorite nuptial-appropriate clutches in recent memory, the Valentino Floral Applique Satin Clutch, is on sale on The Outnet for a full 70% OFF. Yep, you read that correctly. That means that on your big day, you can carry a $2500 clutch for a little less than $800. Put the savings toward having an open bar; your guests will thank you. Buy through The Outnet for $748! I’ve never planned a wedding, but as I understand it, the process seems to turn many mild-mannered women into raging, clawing, howling Bridezillas. The ones who don’t morph, Hulk-like, into wedding monsters have nervous breakdowns. And as someone’s who’s rather detail-averse (as opposed to being detail-oriented, which is what it says on my resumÃ©. Lies! ), I can understand why; if I had to try and wrangle that many different facets of an event at once, I’d probably need to be carted off to the loony bin too. This past weekend I headed up to Rhode Island with my family for a little weekend getaway. 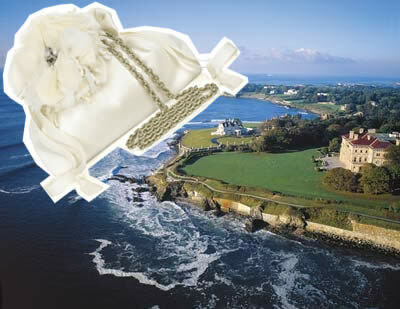 My new favorite place in the world (which changes frequently) is Newport, Rhode Island. Nestled along the water on Aquidneck Island is this little slice of heaven; with quaint shops, good eats, the ocean, and a long road filled with the jaw-dropping mansions. I want to move to Newport, live in a cottage, and sit on the beach watching the waves break on the rocks every night. Recently I was chosen to be one of Glamour’s Blogging Babes, which was quite an honor. This week Glamour wanted to focus on my wedding day accessories which was perfect timing as tomorrow is our one year anniversary. While most brides focus on their bouquet, many of my wedding day photos focused on my and my bridesmaids handbags. 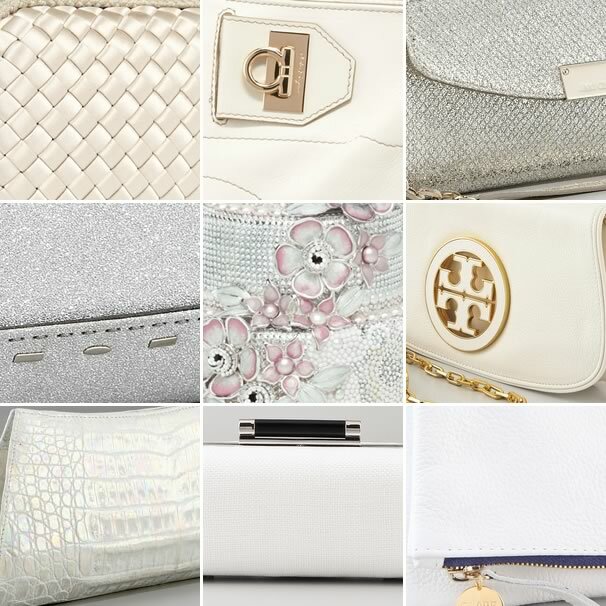 As many of you know the story, my wedding day handbag was my Hermes Kelly Longue which was a surprise gift from many members of the PurseForum. It is still a gift that touches my heart and means so much to me. Thanks to Jenny from Glamour for the feature! Read the full article here at Glamour Weddings.